Last week, Botley School celebrated British Science week 2019. Throughout the week, we had a range of STEM ambassadors working with pupils in year groups to share their expertise and scientific skills. On Tuesday, Year 5 had Mr Randall visit them to teach them all about his career working in computing design. 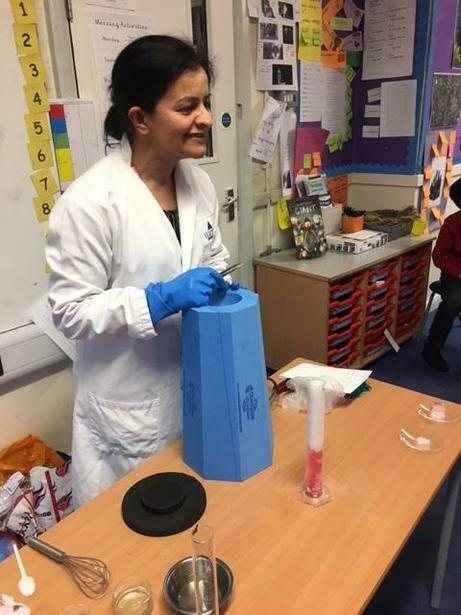 Also on Tuesday, Year 4 welcomed Mrs Keily who shared her chemistry knowledge by demonstrating how to use dry-ice to create cloud bubbles & how to make ice-cream in a bag! On Wednesday morning, Year 3 welcomed Mrs Scheinost to their classes to teach them all about PH levels testing; they tested various liquids, including saliva! Professor Lozano Perez visited Year 2 to share some of his work as a materials scientist. They used a powerful microscope to look at materials in really close detail. Year 6 had a very exciting morning on Friday as they had multiple visitors leading a series of 4 workshops all arranged by Mrs Peacock. 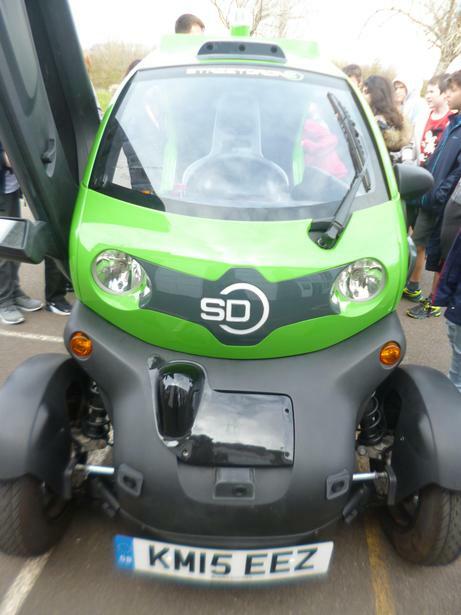 Street Drone,who are based at Osney Lock, brought in their driver-less car and got pupils thinking & debating the ethical decisions such technology must be programmed to make before pupils designed and built their race-cars. 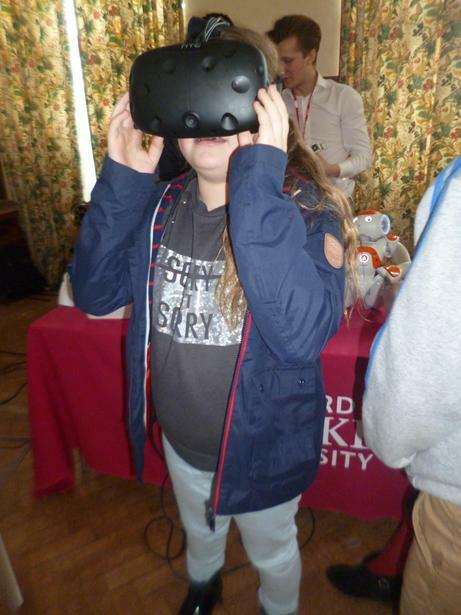 Oxford Robotics from Brookes University shared some of their virtual reality and robotics technology. Zeta engineers had a smaller prototype driver-less vehicle for pupils to program to navigate a set of obstacles. Finally, the week was finished off with our Festival of Flying, during which pupils shared their designs & toys all brought in from home - what fun! A huge thank you to all our visitors and everybody who helped organise the above events.